The Minister for Foreign Affairs and Trade, Mr. Charlie Flanagan TD, this morning launched TravelWise, a new free smartphone travel app available for download on iOS and Android. Speaking at the launch, Minister Flanagan said that TravelWise would help Irish people travelling abroad to stay safe and informed while travelling, living or working overseas. The Minister outlined how the app could be used by fans heading to Euro 2016 who can download the App and “favourite” France, to get France-related security updates from the Department of Foreign Affairs and Trade direct to their phone, while friends and families at home can do the same. With over 7 million trips abroad by Irish people this year, the app is introduces a new four-tier security rating system for each country. “Users should set customised alerts to receive my Department’s latest security updates for where they are going. “Anyone needing consular assistance abroad will have instant smartphone access to the Department’s global network of 80 Embassies and Consulates, and our 90-plus Honorary Consulates. “This new smartphone app underlines the Government’s commitment to the expanded provision of public services online”, said Minister Flanagan. 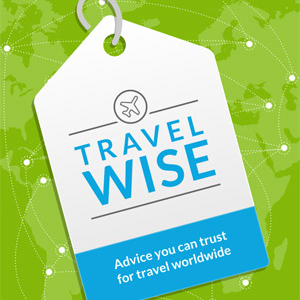 TravelWise is available to download for and Android. Security alerts are sent to App users that have accepted push notifications and opted to receive alerts for a specific country or countries. Alerts will only be sent on major changes in the overall security status or in the event a specific crisis event or emergency. The app provides a secure and easy to use facility to register with the local Irish Embassy or Consulate. This is a voluntary online service which encourages Irish citizens travelling or living overseas, especially those in higher risk destinations, to register their contact details with the Department. In the event of an unforeseen crisis such as a natural disaster or civil unrest, the Department can proactively contact the citizens, ensure they are safe, keep them informed of developments and provide assistance where necessary. The data supplied through the registration form is received and stored directly by the Department and subject to full data protection measures. The app has been developed in conjunction with a range of relevant Irish companies, including tech companies and a research polling firm. The main app developer is Púca. Information is available offline after the initial download and stored information can be updated at any point. This ensures that citizens have access to key contact information without depending on a data connection. The initial download is 4MB with an additional 11MB of stored data. Topical Articles includes practical information on major events abroad, such as Euro 2016 or the Rio Olympics. A “Know before you go” section provides cross-cutting information relevant to multiple travel types and destinations. This includes passport information, travel insurance information and the consular role of our embassies network. The “My Trip” checklist is a handy tool to help travellers ensure that they are well prepared for an upcoming journey.